Put the power of Social Media to work for you, today! 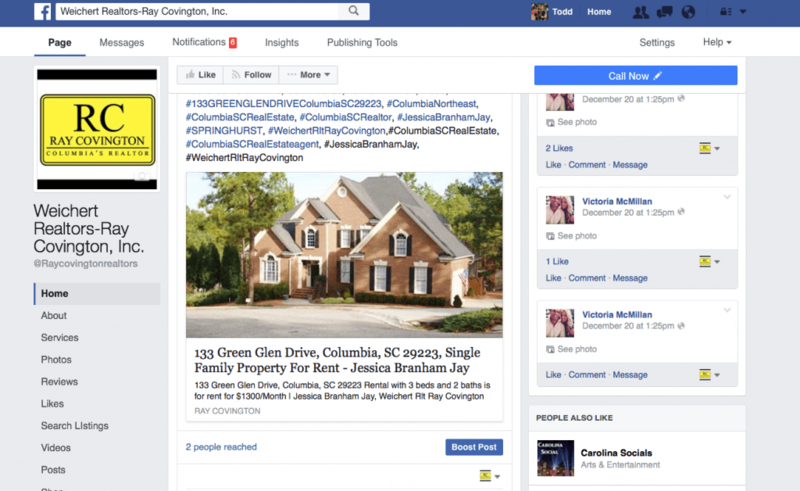 Do you need Social Media Marketing for your Real Estate business? We understand digital marketing and real estate. Today’s digital marketing encompasses social media like Facebook and Twitter. It also includes local media and ad buys for real estate. A key component of digital marketing is email, ongoing newsletters and blogs. And, of course, your website forms the basic hub for all your digital media efforts. We can help you with all of this. Our services are customized based on your needs. We can help with just the basics or provide a complete turn key solution. It’s up to you. Devise a Plan. Its so cliche but worth repeating; if you fail to plan, you are planning to fail. And, whether you need to lock yourself in a room or avail yourself of some of the top talent in the business for consulting, you must plan. Pick a Service Provider that Allows for Growth & Customization. While you’re current budget may dictate a marketing solution that is less than optimal, you should consider a digital marketing agent (like us) that has all the “future capabilities” that you may need whether they are a part of your current marketing plans or not. Start. At the end of the day, you must do something. Don’t get caught in the “paralysis of analysis”! While it is true you must plan, your action plan must include action! Again, our system is custom made for you to take action. Start as ‘small’ as you want—but, start and start today. Our digital marketing service can set your business apart. Our Facebook and Twitter programming allows for automatic posting of your listings to social media—all properly tagged to areas to give you the greatest marketing impact! To find out more about our services, or to request a customized quote, simply complete the contact form and we’ll get right back with you!